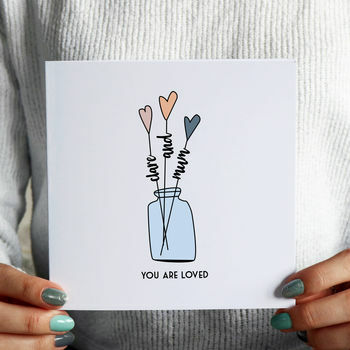 Cute illustrated vase with stemmed heart flowers card. 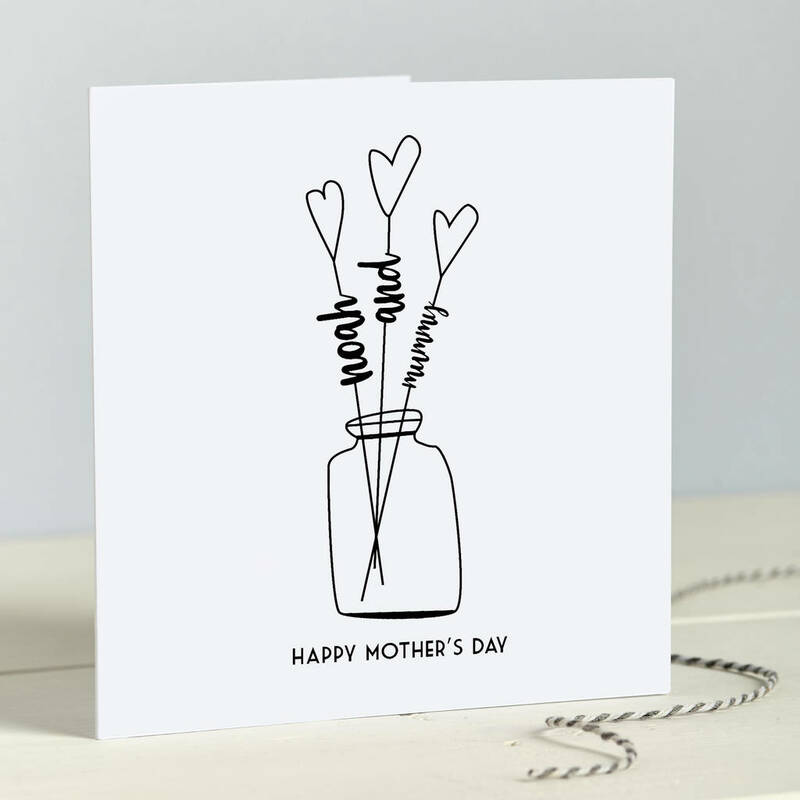 Personalised with a name on one stem and mum or mummy on the other. 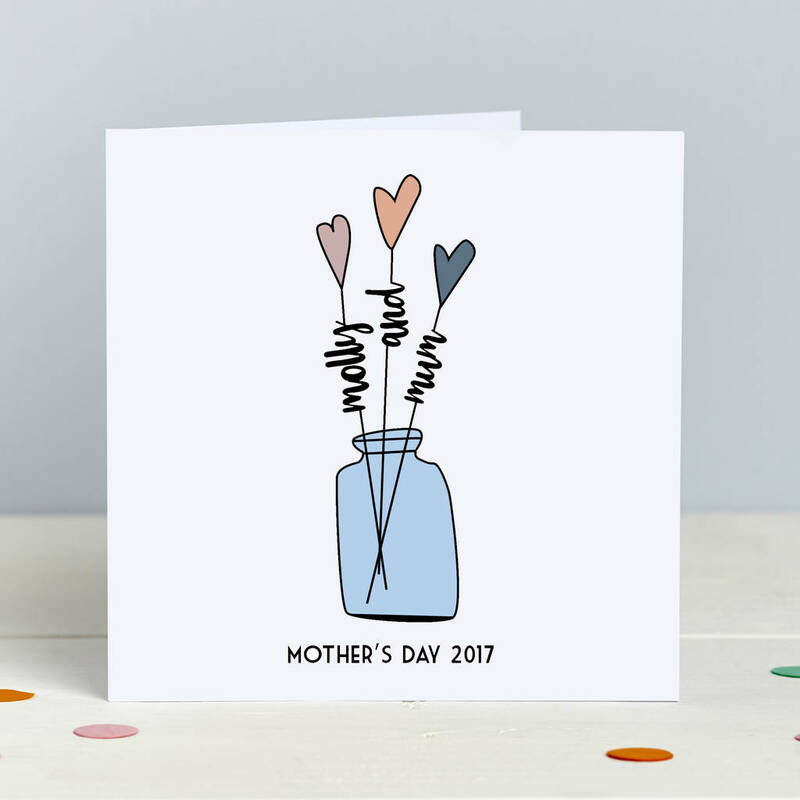 A lovely stylish card that will appeal to everyone. 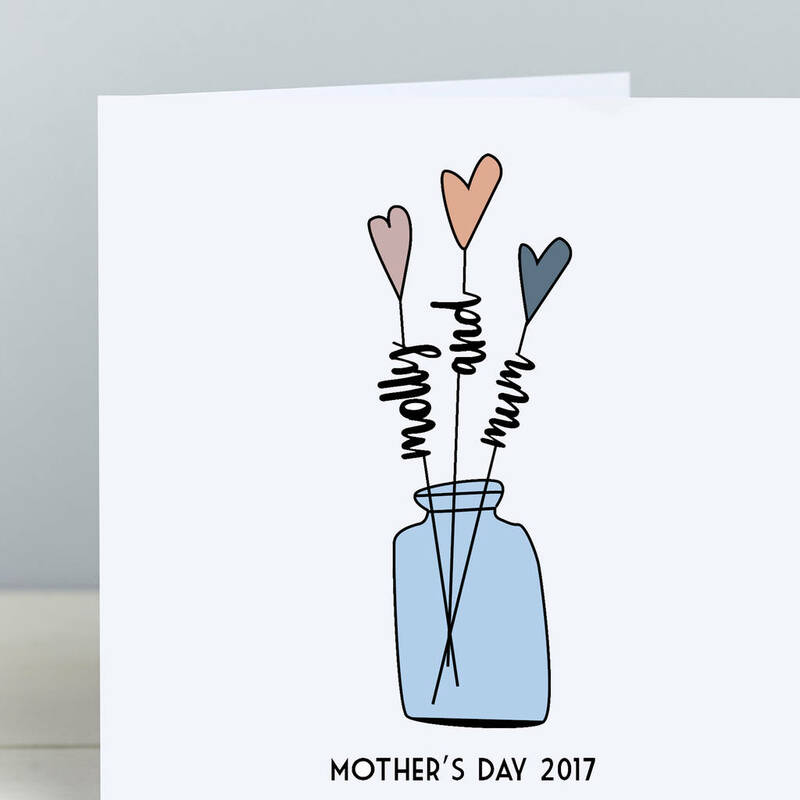 The card features the two names in a beautiful script font and you can add any personalised message to the bottom of the card. 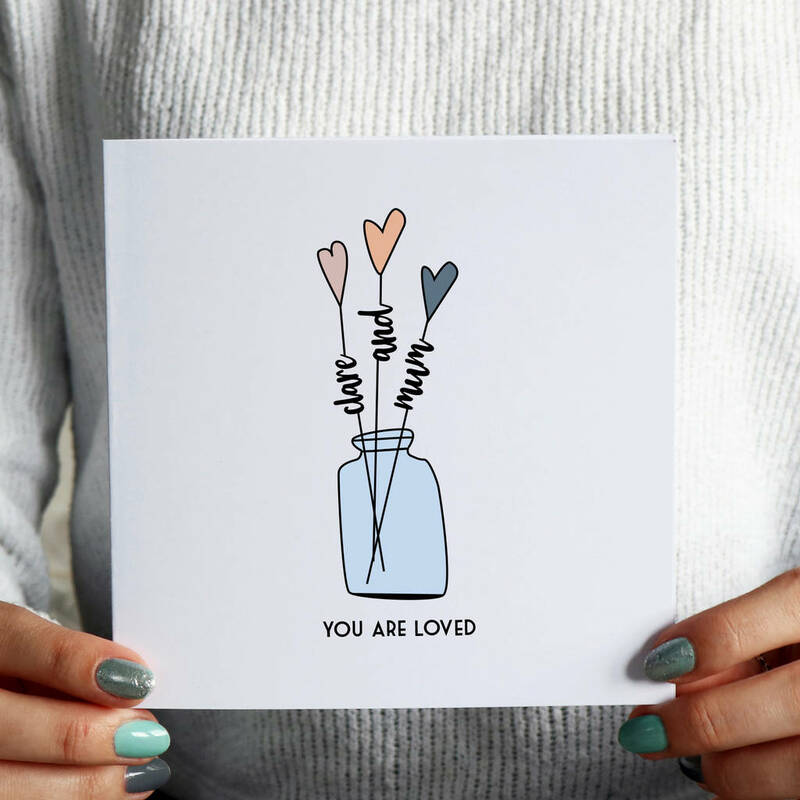 available in monochrome or in pretty muted pastel colours. Add the names to the box where indicated plus a message for the front. 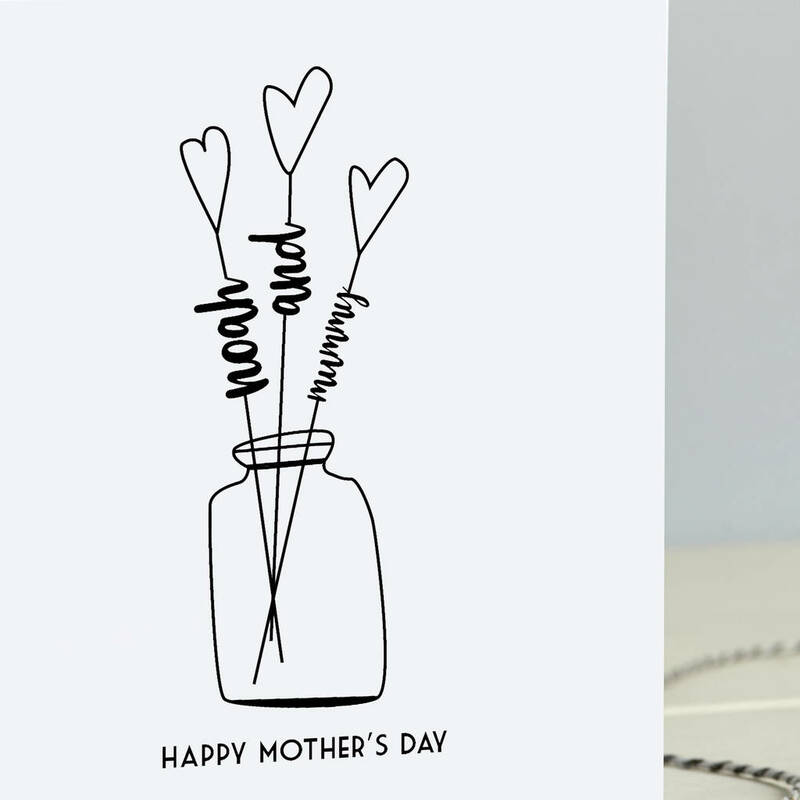 We use high calibre dye based photographic inks and premium quality white 350gsm board. White 150mic envelope.